Pest control poses unique issues for healthcare businesses. The pest threat is amplified by the possible transmission of diseases by pests, while the use of pesticides can present an additional challenge. Rocket Pest and Termite has worked closely with healthcare businesses to develop a unique pest control approach suited to your industry. We begin with that approach and then customise a plan to fit your specific needs. 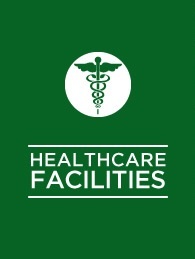 Your business will have a healthy and sanitary environment for your patients and employees. We’ll work with you to maintain compliance with government and regulatory body guidelines as well as local health departments. Clients include Hospitals, Aged Care, Nursing Homes, Radiology, Doctors, Dentists and the offices of medical professionals.